Many criminals are also entrepreneurs. They work in some of the most competitive and high pressure trades where the opportunities for profit are immense but so too are the risks. So what can we learn from these daring, unscrupulous individuals who take making money to the extreme? People who don’t let morals or legal restrictions get in their way. 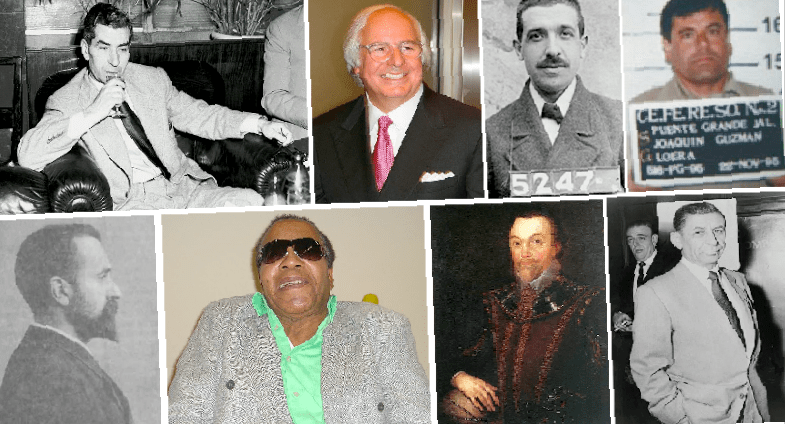 In this list we pick out 10 of the greatest criminal entrepreneurs in history and identify a business lesson that each of them can offer us. 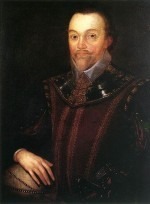 Sir Francis Drake ruled the seas during the 1500s and was extremely skilled at attacking ships and stealing their cargo. His exploits were legendary and he would regularly share some of his bounty with the British government. This made him a hero to the Brits but he was considered a dastardly pirate by the Spanish whose ships he often stole from. In Spain he was known as El Draque and there was an offer of $4 million dollars (in today’s money) as reward for his capture. Meanwhile in Britain his popularity was so great that he was knighted and became mayor of Plymouth. This story just goes to show, you don’t have to please everyone to be a success. Charles Ponzi – Focus on how your customer will benefit… and then deliver! In the 1920’s Charles Ponzi made people an offer that they found it very hard to refuse… huge returns on investment for no real work. The offer Ponzi set up was based around a loophole he had spotted in buying and selling stamps that if exploited could yield a return of around 400%. The problem was that Ponzi could only exploit this loophole on a fairly small scale. But he had far greater ambitions. So what did he do? 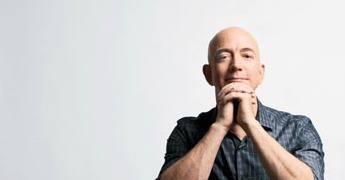 He sold the investment opportunity to thousands of people and used the money he was receiving from new customers to pay off the previous ones. No legitimate investments were actually made. It all worked for a while and at it’s peak Ponzi’s scheme was making him at least $250,000 a day. But the scam relied on ever increasing numbers of people investing in order to stop the whole thing imploding. Eventually it did all collapse. Ponzi made a run for it taking the huge amounts of cash people had invested with with him but was caught and sentenced to prison. 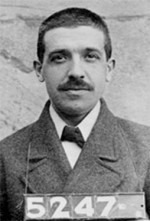 The scam that Ponzi developed was later named after him and it still exists to this day. For example Bernard Madoff was recently caught committing the biggest financial fraud in US history using a Ponzi Scheme. Ponzi got it half right with his business. He focused on creating a compelling offer that customers would find it hard to refuse and was therefore able to attract thousands of customers. Where he went wrong was that he did not have a legitimate plan for delivering on his promises. So the lesson from this tale is focus on how your business will benefit your customers but also make sure you can deliver on those promises sustainably! George Parker, who lived in New York in the late 1800s and early 1900s found a rather bizarre and audacious niche market. He began selling New York’s landmarks to unwitting tourists! Yes you read that right… he would develop elaborate stories and fake documents to convince people that landmarks such as Brooklyn bridge were available to purchase. Brooklyn Bridge was one of his favourite landmarks to sell because he could persuade customers it was a great investment and that they could set up a toll booth on the bridge to start making money. New York cops then had a fairly regular task of stopping people on the bridge whilst they attempted to hold up traffic and charge drivers to cross the bridge. Cops would explain that they did not own the bridge and had in fact been scammed. This is a pretty surprising tale and an extremely cheeky crime to have committed. Parker did eventually get caught and spent the last 8 years of his life in prison but one learning point that should really stand out from Parker’s story is that the world is full of crazy niche markets. Who’d have thought there was a niche business to be had selling off New York landmarks to gullible tourists! Argentine con man Eduardo de Valfierno was a cunning fellow. In the early 1900s he hired an expert art forger to produce several fakes of the Mona Lisa with the plan to sell them all around the world and make huge profits. But who would be interested in buying these fake paintings and surely they wouldn’t be worth that much? That was where the second part of Valfierno’s devious scheme came into play. Once he had some very professional looking fakes produced he then hired several men to steal the original painting from The Louvre in Paris. One of the museums employees achieved this incredibly daring stunt by simply hiding the painting under a coat and walking out of the building! In anticipation of the huge furore that would ensue once the Mona Lisa was stolen Valfierno had arranged buyers in advance and shipped his fakes to secret locations throughout the world. This meant that he was able to avoid taking the fakes through customs whilst everyone was on high alert. Valfierno then sold each of his fakes to wealthy buyers and each buyer believed that they were buying the original. Valfierno wisely knew that the original painting was best left well alone so let the man who had stolen it keep it. Eventually the thief tried to sell the original and was caught. The painting was then returned to The Louvre and Valfierno got away scot free along with some serious profit! The US Treasury Department recently described Joaquín Guzmán as the world’s most powerful drug trafficker. He has developed innovative management methods such as paying traffickers in drugs rather than in cash to help them develop their own operations and act like franchisees. He has spotted new emerging trends in drug demand such as methamphetamine and developed cost cutting techniques such as growing fields of Marijuana within the USA rather than importing. But his most impressive achievement is also one of his simplest. If you want to get huge amounts of drugs from Mexico to the USA what do you do? You build a massive tunnel! It is this simple idea that has driven much of Guzman’s success. He hired an architect and commissioned the digging of a tunnel all the way from a hidden location in Mexico to a Warehouse somewhere in the USA. What a great idea. And it just goes to show some of the simplest ideas really are the best! Ever heard of the Mafia? Of course you have. Well Charles Luciano is the guy who took it from a Sicily based crime syndicate to a multinational enterprise that for many years held huge influence throughout the USA. How did he do it? He got people to work as part of a team and collaborate. Instead of having lots of petty criminal activity taking place amongst disparate groups he added the Sicilian Mafia’s hierarchy and structure to Italian-American gangs in the USA. This increased their power and influence and made the Mafia arguably the most powerful criminal organisation of the 20th century. In the 1970s Frank Lucas was an African-American hustler trying to make it in a criminal underworld dominated by the Italian-American Mafia. If he was going to make it as a big league drug trafficker he needed to be able to keep his costs low and undercut the competition. At the time that Lucas was working on his drugs business the USA was fighting a long and bloody war with Vietnam. A country, it just so happened, where heroin could be purchased far more cheaply than in the US. Lucas spotted an opportunity and took advantage of contacts fighting in the war to buy drugs direct from South East Asia then smuggle them back to the USA. Lucas even claims to have used the coffins of dead servicemen as a gruesome but ingenious way to smuggle his supplies into the USA undetected. By skipping out middlemen and buying his supplies direct from the source Lucas was able to undercut the competition and become a big success in the drugs world. Lucas made millions of dollars but it was this very success that eventually made him a target to be put behind bars and led to his downfall. In the long-term crime didn’t pay because Lucas ended up spending many years in prison but his story does show that you can have success in business by giving yourself a competitive edge and avoiding the use of middlemen when it comes to sourcing your product. To relate this point to the more familiar world of online blogging, for example, Lucas’s success is similar to creating your own product to sell rather than acting as an affiliate marketer for someone else. If you can create your own high quality products you get to keep a larger cut of any profits. Abagnale is an expert in fraud who spent years living off falsified cheques and travelling the world for free. 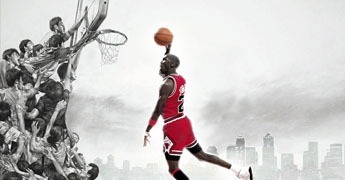 He was able to gain people’s trust and cooperation by positioning himself as an expert. For example he got free flights by claiming that he was a pilot and would gain people’s trust and respect by claiming to be a doctor. Abagnale eventually got caught and spent 5 years in prison. He then finally started to present himself as an expert in something he really was an expert at… financial fraud. 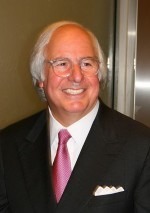 Abagnale was allowed out of prison early in exchange for helping US Federal authorities with anti-fraud detection work. This led to Abagnale founding a multi-million dollar business as a fraud consultant and he has now used his legitimate profits from this business to pay back the people he scammed in the past. 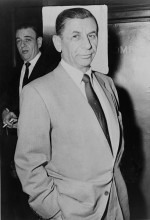 Russian-American Meyer Lansky set up a formidable illegal gambling empire in America from the 1930s onwards and was a success in his own right. But he was able to take his earnings to the next level by networking and building close ties with the Mafia. 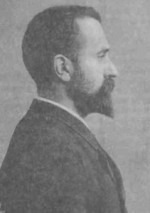 His close links with the Mafia gave him access to new business opportunities and he became known as the “Mob’s Accountant”. At the time of his death in 1983, the FBI estimated that he had hundreds of millions in concealed bank accounts and he was such a compelling criminal that several movie gangsters are thought to be based on him, including Michael Corleone in The Godfather. Lansky was a skilled criminal but also a skilled networker and it was his networking skills that gave him access to greater opportunities for profit and success. George Greenhalgh was in charge of sales for the “Garden Shed Gang” which consisted of George, his wife and his son. Together they produced forgeries of valuable artworks and successfully fooled museums and collectors into spending more than a million dollars on their work before eventually getting caught. Not bad going for an 82 year old living in a council flat in Bolton, UK and operating out of a garden shed. This story shows you’re never to old to give something a try… but maybe just start with a blog rather than attempting to defraud the art world for millions of dollars. 10 criminal entrepreneurs and 10 business lessons. Their extreme ways of earning money make starting a legitimate business feel like a simple task in comparison. If you start a blog or create an information product for example nobody is going to shoot you or lock you up and you don’t have to be a violent gangster or expert con artist. So take the lessons that these criminal entrepreneurs have to offer but maybe it is best if you don’t try to become an international con artist, pirate or drug dealing mobster yourself! You are right Akash..We all want to leave an inspiring history behind when we die. There is always something to learn from just about anything right? This is a very interesting post. What ever you do don’t follow the money in those crimes you might be shocked WHO else you’ll find. I would add to the list John Dillinger. How could you summarize what he did? Glad you liked the post and yeah John Dillinger is an interesting character as well. Awesome article. Though I disagree in their doings but still they can give us such lessons. Great post. Keep it coming! Thanks Lewey, I’m glad you like the post. I will be doing some more soon. Well spotted, yeah both the Franks mentioned in this blog had films made about their lives. Makes you wonder if there is something special about the name Frank! One of the most interesting posts that i have read in a long time. MAYBE IT WAS THE HISTORY OR THE LESSONS I DON’T KNOW – BUT THANKS! Have a great day on purpose. Haha thanks. Yeah Frank Abagnale’s story is great!